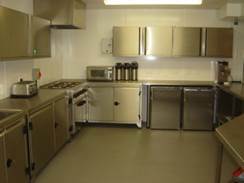 We have fantastic facilities here at The Pearson Centre available to hire. If you are interested in booking The Pearson Centre for your next event, please contact the office to enquire or make bookings for the various facilities. The office is manned Monday to Friday 9 – 5.30 pm, The Pearson Centre staff will be happy to discuss your bookings and provide you with more information. Please contact the Office on 0115 9254112 or see below for more information. Keep up to date with everything that happens at The Pearson Centre, either on Facebook, Twitter or on our news page which can be found here. 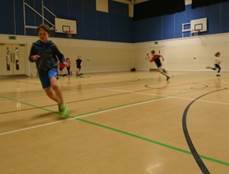 We have lots happening in our development program, Boys’ Brigade, Girls’ Brigade and community groups. To find out more about The Centres’ history, click here. 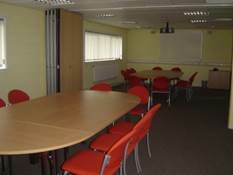 Meeting Rooms: There are three meeting rooms; one of which seats 14 in a boardroom style and the other two seat 10 each. The smaller two meeting rooms can be opened up to make one larger room. Two of the rooms have data projection and sound facilities. Sports Hall/Auditorium: This rooms doubles up as a sports hall and can also be used for productions, prize givings, fashion shows, family parties etc.. The room hosts 3 badminton courts, basketball court, 5-a-side football and volleyball. For smaller events and activities this can be divided into two smaller areas. As an auditorium, the room has seating capacity for 300, has been acoustically treated and has sound and lighting facilities. The stage also has a back projection facility. 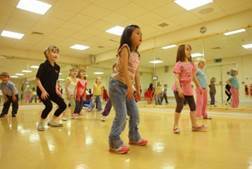 Dance Studio: Ideal room for dance/ballet classes together with aerobic type classes. This room is also hired for numerous children’s birthday parties. This room also has built in sound system. 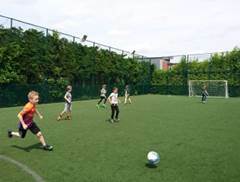 Outside Football Pitch: This 5-a-side pitch has a rubber pellet infill thus reducing abrasions. IT Suite: This facility is suitable for IT training and contains 20 pc’s. Each PC has the Lanschool programme loaded on, thus enabling one PC to act as the Teacher console. 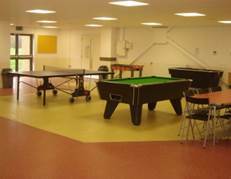 Other facilities: The Centre also has a Kitchen, Youth Gym, Arts & Crafts room and Recording Studio. 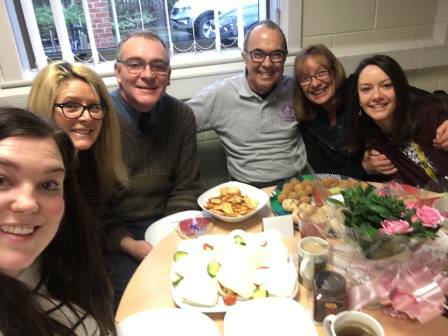 The Office team at The Centre are happy to help with any enquiry. To find out more about our team, click here.